The first Xiaomi Mi Wireless Qi charger supports fast charging with up to 7.5W. The charger is easy and fast to use and supports a variety of different smart protection modes like temperature, power, short circuit, foreign object and overvoltage protection. Made from exquisite materials the Qi wireless charging station has a shock-absorbing effect and it is lightweight and therefore easy to carry around. 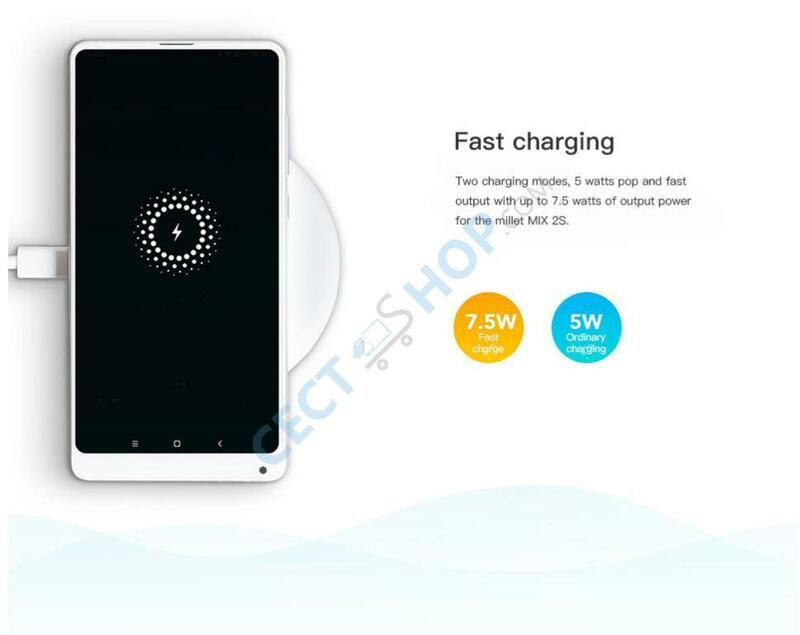 The charger supports two charging modes including fast charge with up to 7.5 watts especially only for the Xiaomi Mi MIX 2s Standard and Exclusive Edition. The ordinary charging mode (5W) can be used to charge all other Qi compatible devices. 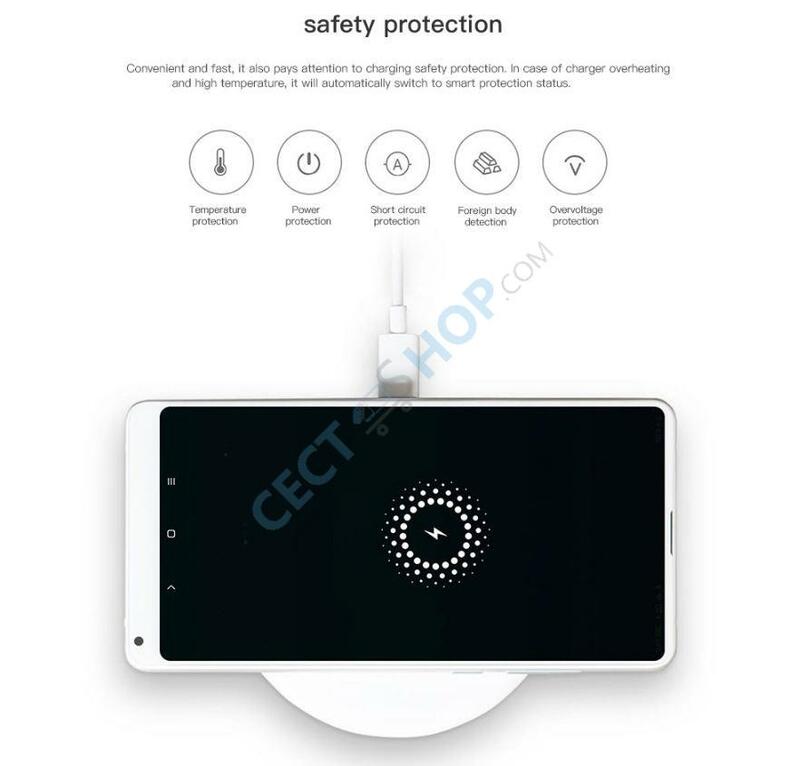 Order and buy the original Xiaomi Millet Qi Wireless Charger now online at CECT-Shop. Your #1 online shop for Xiaomi phones, accessories and gadgets. Sehr praktisches Ladegerät. Die Qi Wireless Funktion läuft wie geschmiert. Das Smartphone wird sehr schnell aufgeladen. Alles Top! Der Wireless Charger funktioniert und verrichtet seine Arbeit super. Lieferung, Verpackung, Service, Super! 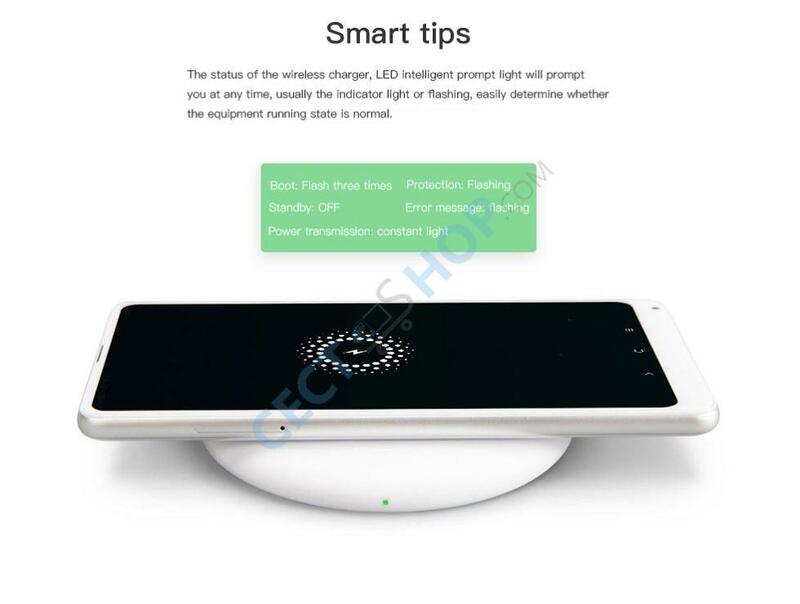 Excellent, high quality wireless charger. Quick delivery. Highly recommend!